Yesterday was officially the FIRST day of Spring, and really, our weather here couldn't have been any better! 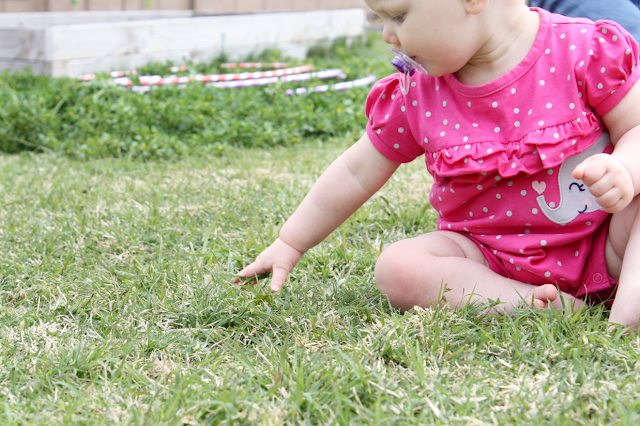 We spent some time in the backyard yesterday afternoon where we found a patch of clovers that had several lady bugs in it. 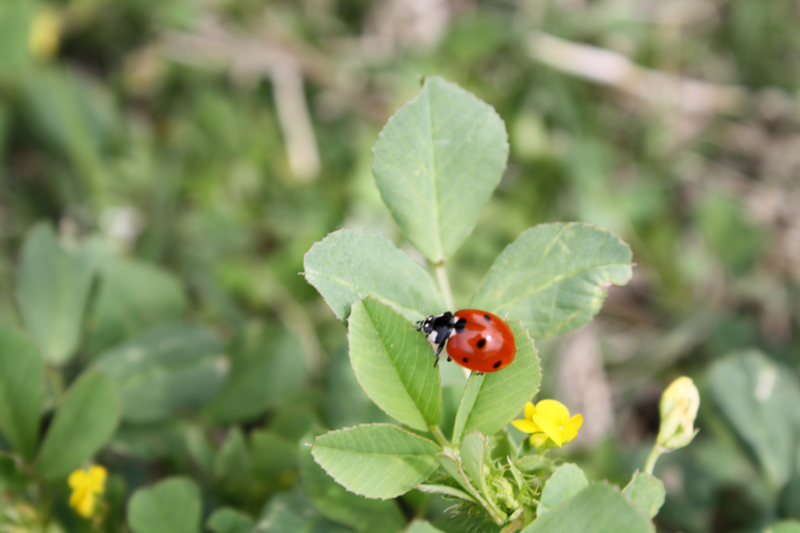 I happened to be in the house when the big kids discovered the lady bugs and the way they were screaming you would have though they discovered gold! Ha! 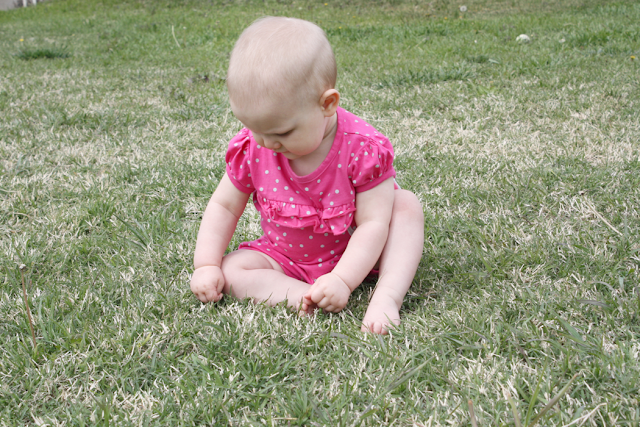 My cute little one had her first real grass experience. It was so fun watching her discover something new! 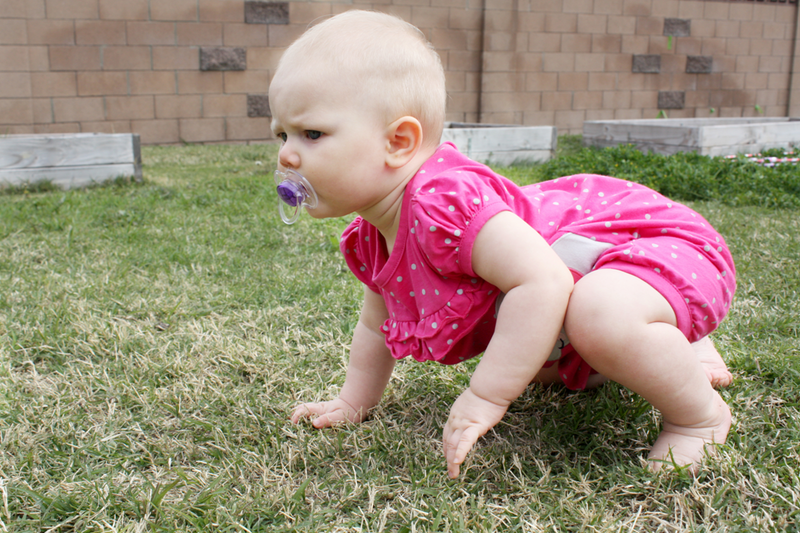 She loved pulling up the grass and touching it with her cute chubby fingers, but she wasn't all that sure about crawling on it. How is the Spring weather treating you!?! Is it nice or still a bit on the cold side!?!? http://pinkowl07.blogspot.com/2013/03/the-bunny-hop.html Be sure to link up with us and show/tell your friends. Thanks. and have a great day.